(Pennsauken, NJ) – The regatta season on the Cooper River may be half over, but some of the best competition is just heating up beginning May 5. The dredging project has removed more than 115,000 cubic yards of sediment from the river bed. This enhanced the rowing course by deepening the previously shallow sixth lane, while creating a significant environmental benefit to the water quality. On average, the depth of the course has been increased by between five and six feet to accommodate large scale competition and create full access to the width of the river. 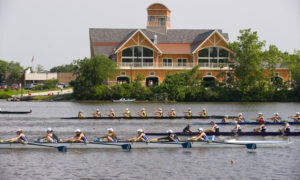 For the complete regatta schedule and more information, visit www.camdencounty.com.